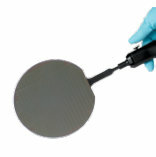 Excelta Vacuum Tools consist of vacuum cups, probes, and vacuum systems. Excelta's Vacuum Systems are perfect for moving and manipulating wafers, disk media, flat panels, or any item with a flat and hard surface. Janel distributes Excelta Vacuum Systems which are availble in a variety of options. These include, battery powered, electric, pen-vac's, and roto-pic vacuum systems. Excelta's 4000-HP is considered to be their top of the line, high performance vacuum system. This high performance system is guaranteed to handle both large and small sized components. It features a precision pump and motor which is capable of handling over 15 inches of mercury. Additionally, this product features an electric eye pen holder which will automatically turn off the unit when the pen vac is placed in it's holder. Additionally, the 4000-HP includes a jack at the rear of the system where an optional foot switch can be used to enhance vacuum control during pick and place operations. On the other hand, the Excelta 4000-ST is a Standard Vacuum System, similar to the 4000-HP this system is also four stars. However, this vacuum will only generate up to 10 inches of mercury with an open air flow of 2.3 lpm. This is a 5 inch difference in contrast to the Excelta 4000-HP. Additionally, this vacuum features an on and off switch and a power cord - connecting the vacuum to the ground. Designed to lower manual handling of both chips and wafers.The end rotates 360 degrees so the operator can be aligned with ease. 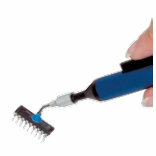 Designed to be extra compact and handle the majority of electronic components. The Vacuum unit connects to ground automatically with the three wire power cord. 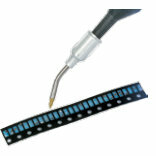 This tool is a ideal for picking up and placing most standard and odd sized SMT components. Pen-Vacs six inch long by half an inch round with a useful rear storage compartment and pocket clip. The rechargeable battery operated vacuum handling tool features a 9.6V detachable rechargeable battery pack. The built-in filters provide performance that surpasses Class 1.